Home news IPOB Deceiving Igbo - Okorocha. 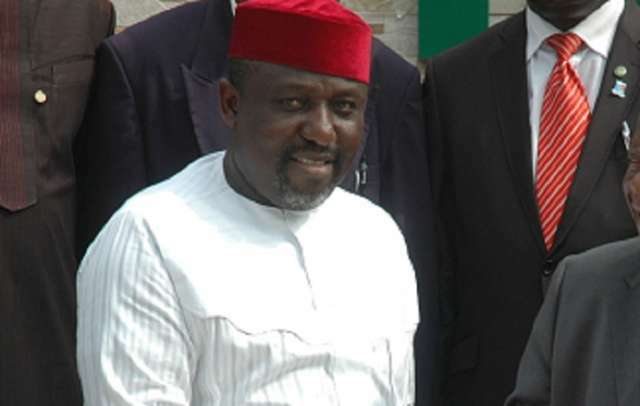 IPOB Deceiving Igbo - Okorocha. Governor Rochas Okorocha of Imo state, Monday, said that the Pro Biafra agitators, led by Nnamdi Kanu, Indigenous People of Biafra, IPOB, was deceiving the Igbo using the name of Biafra. According to the release issued to newsmen in Owerri, by Okorocha’s Chief Press Secretary, Mr. Sam Onwuemedo, the governor stated this while handing over Staff of Office and certificates of recognition to sixteen traditional rulers in the state. The release further captured that IPOB activities would only result to loss of trillions of properties and assets owned by the Igbo in the country. The governor added that no sane person would talk of division in Nigeria. As captured by the release, “On IPOB, the cloud is gathering storm, nobody is talking even our traditional rulers, Pastors and leaders, this is bad for our people. “If you will remember vividly that few years ago, during the Civil War, it was a similar story. That was how it all started. At that time, we believed that the Ohafia warriors will be able to fight and disseminate the North. “Now we are been deceived that IPOB will drive away Nigeria and give us Biafra. Even our Pastors, men of God and some leaders in the rural areas, nobody is speaking out against this action and the song of war is coming gradually like a desert encroachment. “We fought the war and it was believed that the Igbos will learn from it but they still went ahead and developing the resources of other regions. “There are 5 million Igbo living outside the shores of Igbo region. Any form of war will cause the Igbo over 3 trillion naira loss in properties and assets.